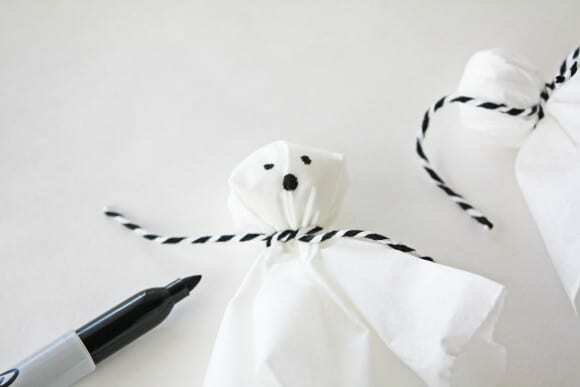 Need a quick and easy Halloween decoration that you can make with your kids? 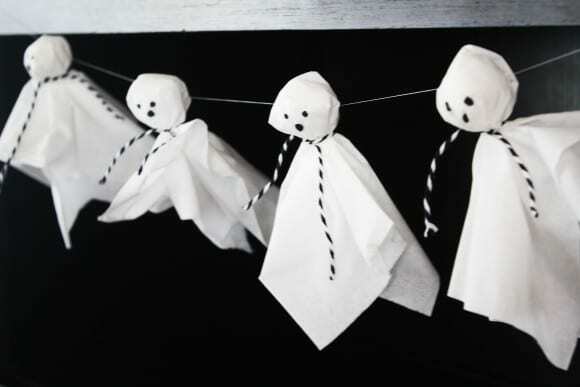 Try our Halloween Tissue Ghost Garland DIY. 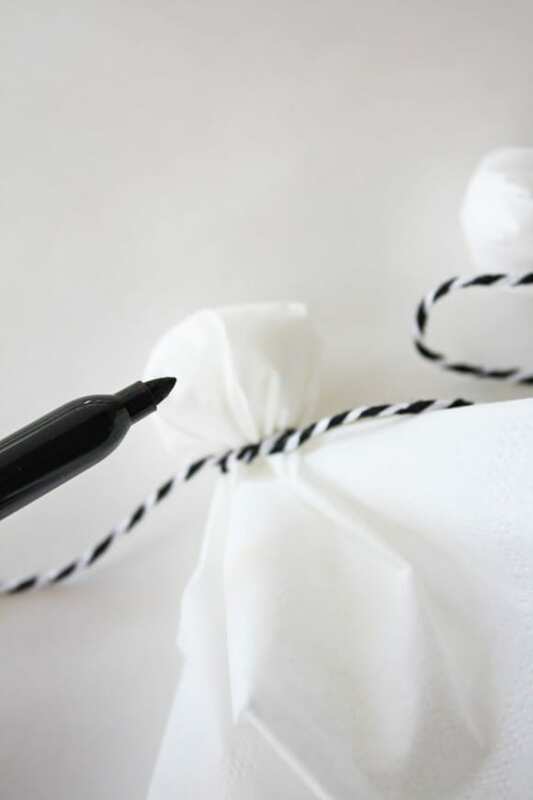 It's as easy as 1, ­2­, 3 and your kids will have so much fun helping. Just leave the needle part to Mom. 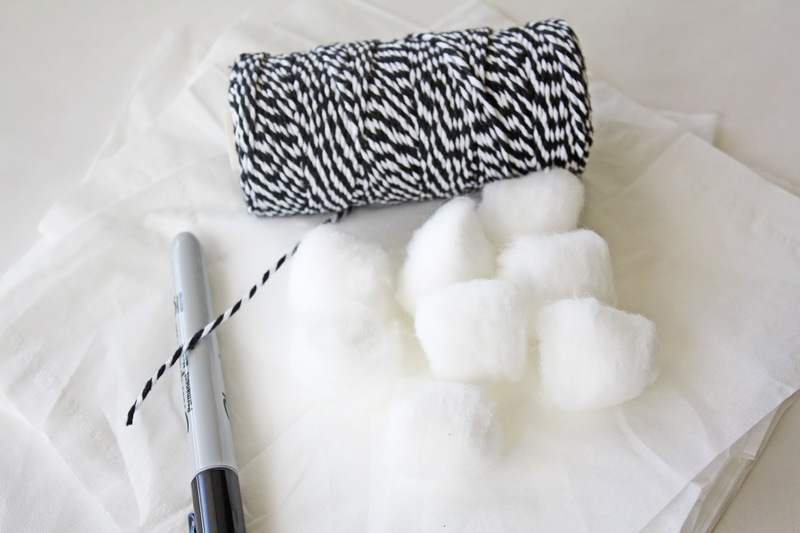 This post was created by our craft contributor, Shauna at Ella and Annie Magazine and inspired by Learn, Create, Love. 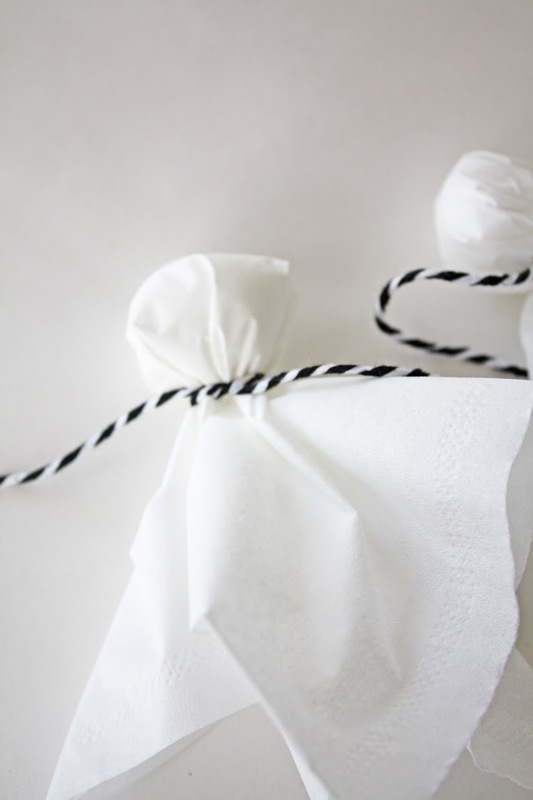 Decide the length of your garland. 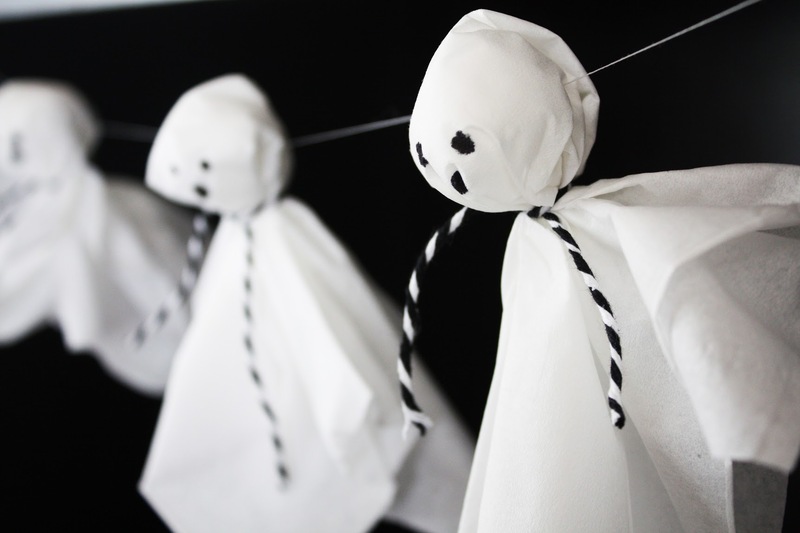 Estimate how many ghosts you will need. Take a piece of Kleenex and lay it flat. 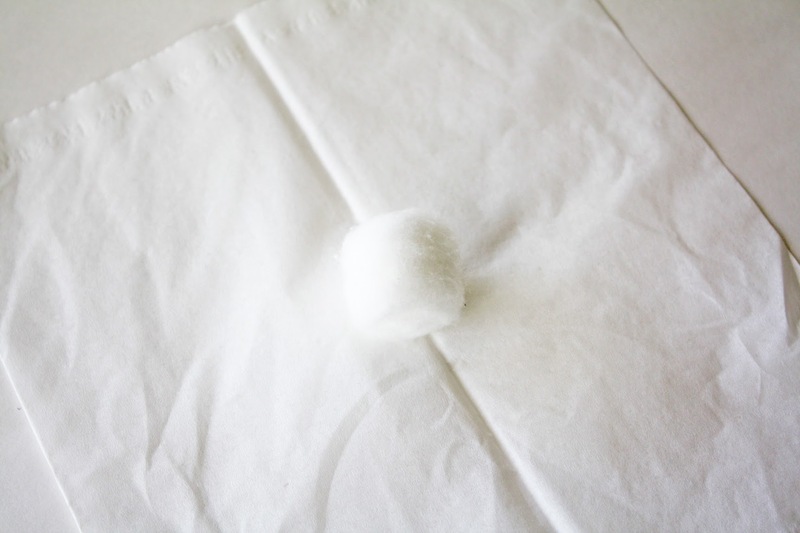 Place one cotton ball in the center of the kleenex. Wrap Kleenex around the cotton ball and tie with a piece of bakers twine. 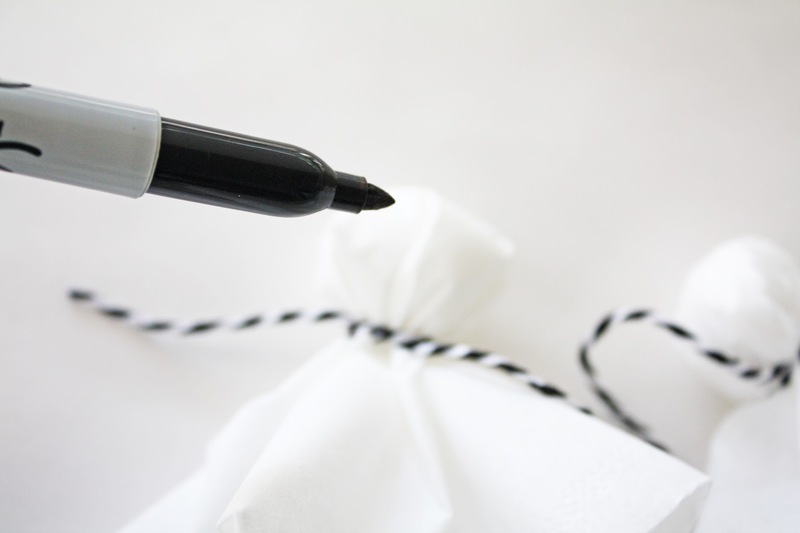 Using the black Sharpie, gently add two eyes and a mouth. Simply hold the tip of the marker onto the tissue until desired sized dot bleeds into tissue. 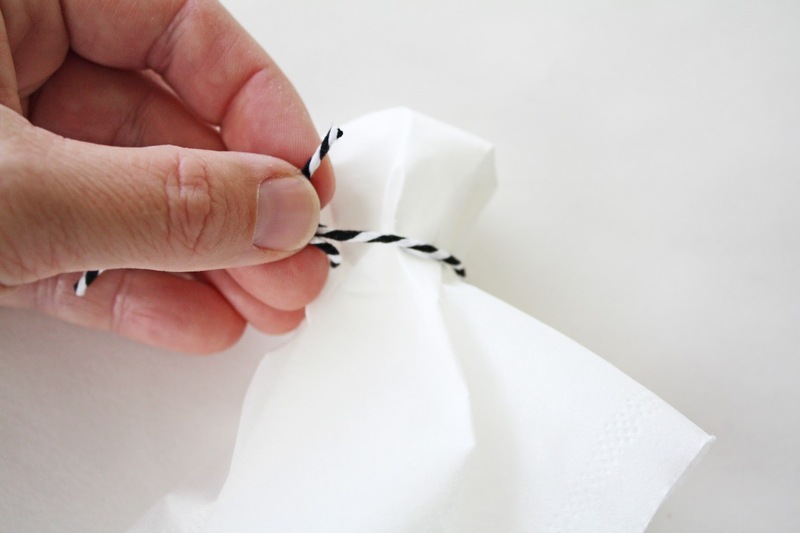 Be gentle or tissue will tear. Repeat for each of the ghosts! 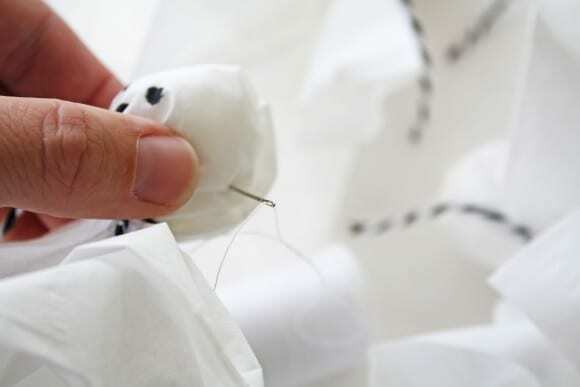 Thread the ghosts together using a needle and thread. Evenly space and hang! 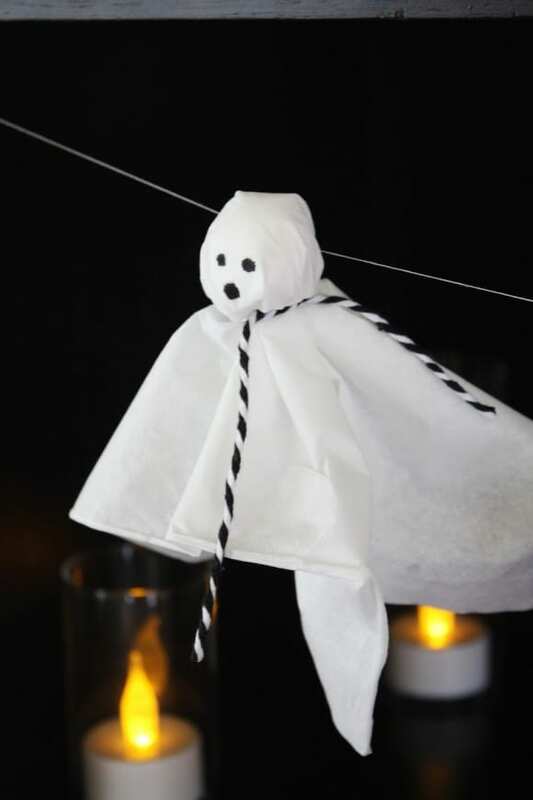 For more inspiration, check out these Halloween parties, free Halloween printables, and creative Halloween ideas from our site.